The Viziv Performance Concept previews a curvy next-generation look that may feed into a redesigned Legacy sedan. TOKYO -- Subaru goes emotional and dynamic with a new semiautonomous performance concept sedan to be unveiled at next month's Tokyo auto show. The Viziv Performance Concept previews a curvy next-generation look that may feed into a redesigned Legacy sedan, due for an overhaul as early as 2019. The car is the latest in a series of Subaru Viziv concepts that take their name from "vision for innovation." The Tokyo offering will combine Subaru's latest safety technology with the fun-to-drive characteristics of a true sport sedan, the Japanese carmaker said. The Viziv Performance Concept also will embody Subaru's vision for next-generation autonomous driving systems built upon the brand's trademark Eyesight safety technology. Subaru has said it targets Level 2 autonomy by around 2020. 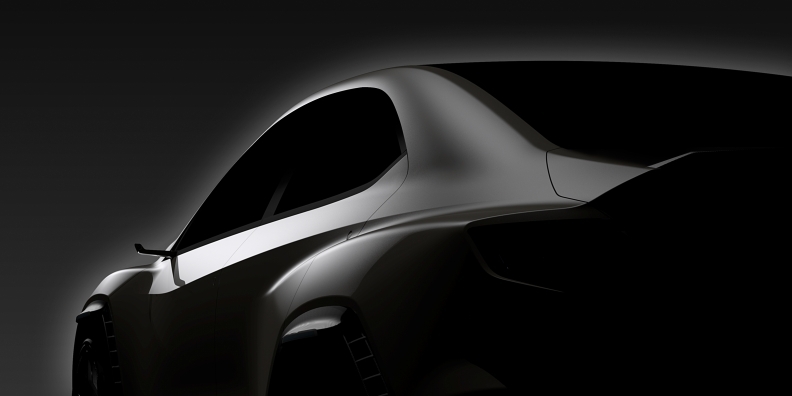 A teaser image of the Viziv Performance Concept shows a rear-slung sedan with a short rear deck, muscular fenders and wavy side creasing. The wheel well arches get protruding lips and what appear to be brake vents, both in the front and rear. A sliver-thin sideview mirror completes the look. Subaru did not offer details about the Viziv's powertrain. Also on the Subaru stand at Tokyo will be a Japan-market limited edition the WRX STI sports sedan and a BRZ STI Sport version of the rear-wheel-drive coupe, which will get a 100-unit run. Press days for the Tokyo Motor Show begin Oct. 25.